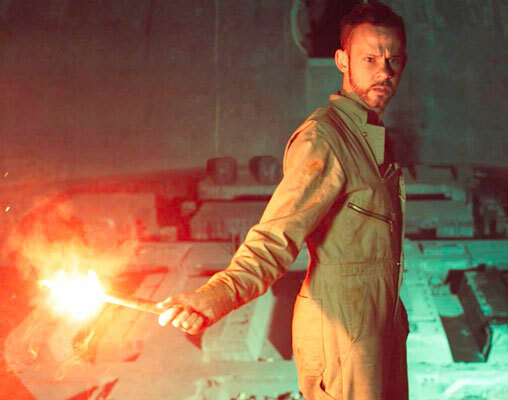 A great Sci-Fi mystery thriller with political undertones, ATOMICA is only the second feature film to be produced by Sy-Fy Films. It takes place in a future that boasts better living through nuclear power, according to the Auxilisun promotional advertisements. But playing with nature - and nuclear options - are not without a downside or two. 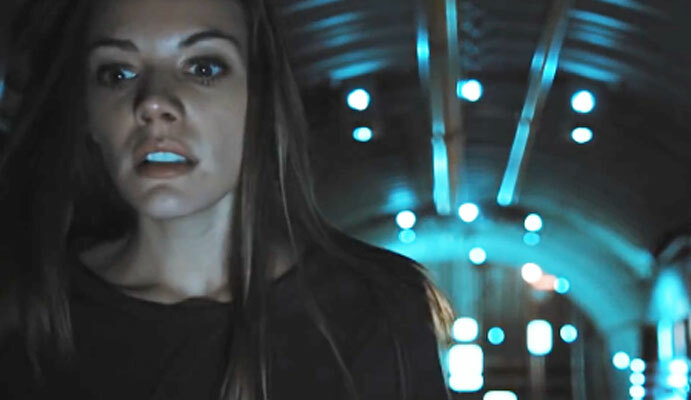 Enter Chief Tech Engineer Abby Dixon, who is sent to a remote nuclear waste containment outpost for the purpose of cleaning up a mess left by Big Business. She's smart, handy with tools and suffers from recurring nightmares that she diligently tries to ignore. The facility is staffed by a paranoid worker who calls himself Robinson and can't adequately explain why head Doctor Zek, ‘the Most brilliant nuclear containment scientist’, is MIA. So her mission has now been elevated to Def Con Crazy, as she tries to fix the outdated station and locate Dr. Zek, all while playing verbal gymnastics with the lurking Robinson. 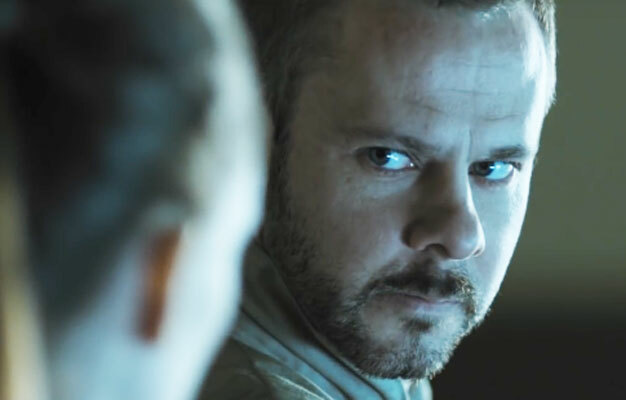 Sarah Habel and Dominic Monaghan move briskly through shadowy hallways and around narrow rooms, as Abby fights her growing hysteria, and finding Dr. Zek (played by Tom Sizemore) doesn't bring us any relief either. Monaghan, a former Lord of the Rings hobbit, leaves his fantasy past behind and fascinates as the dark, twitchy Robinson Scott. Habel (from CW’s Riverdale) strikes a calm counterbalance as the woman who may not have all the solutions to an ever-growing list of urgent questions. 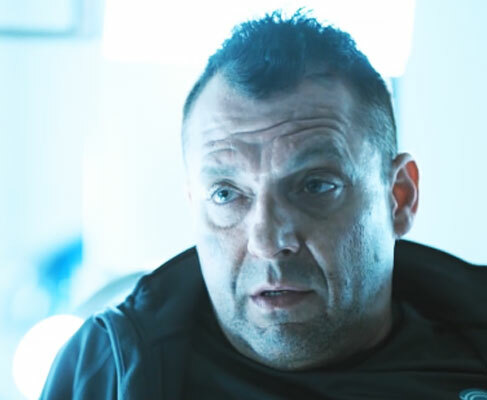 Tom Sizemore's Dr. Zek is wonderful, using his brief screen time to raise even more concerns. 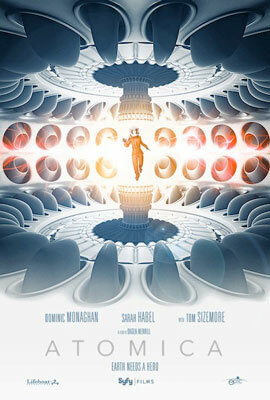 The script is good on dialogue but short on diversity, as the future of ATOMICA is populated by an all-white cast. (Did the people of color get wiped out by a nuclear accident?) The sets and score are barely there, which forces the tension onto the two central artists and keeps our focus on this existential gem of a film.